With celebrations little more than a week away, we’ve been looking back at the events held last year to celebrate International Women’s Day! As we approach our own International Women’s Day celebration here in Ireland, we reflect on last year’s events around the world. International Women’s Day 2017 was historic for many reasons, and 2018 should show the same level of significance. Since the first Women’s Day celebration in 1909, this movement has grown to a worldwide observance that brings together women of all backgrounds in the common fight for equality. Last year, 2,000 women and girls took part in Belarus’s Beauty Run. Women ran 2k and 5k races while adorned with flower crowns, tutus and bright coloured clothing. The race aimed to bring awareness to domestic violence problems in Belarus and was held under the slogan “Women Against Violence”. In Australia, over 1,000 female childcare workers organized a strike to protest pay inequality and lack of funding for education. Workers walked off the job at 3:20 p.m. local time, when organizers said women in Australia begin working for free, to join International Women’s Day rallies. Other women around the country participated in these same rallies, calling for equality for all. In America, thousands of women participated in “A Day Without a Woman”, a protest calling for women not to work or spend money on International Women’s Day. Many businesses gave employees the day off in light of the event. Rallies and protests were organized in major cities around the country. 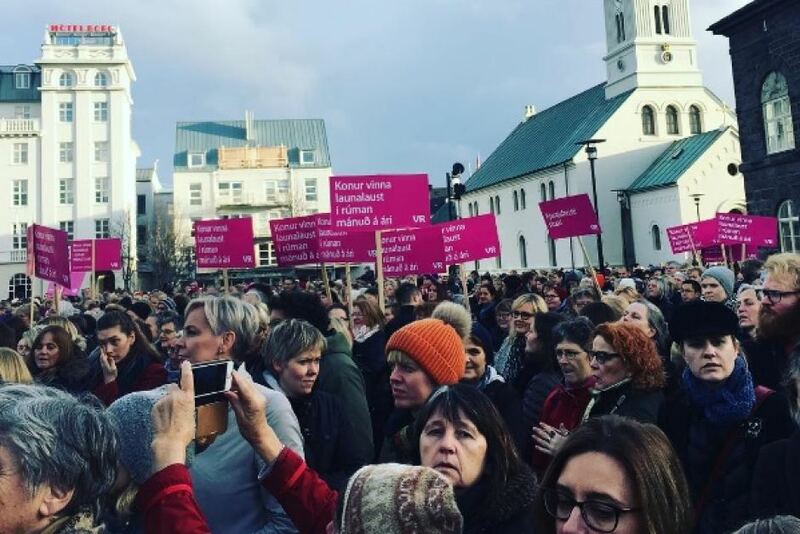 On International Women’s Day 2017, Iceland passed a law requiring all companies prove that they pay all employees in corresponding jobs the same amount regardless of gender, ethnicity, sexuality or nationality. They were the first country to make this mandatory, and vowed to eradicate the gender pay gap in Iceland by 2022. South Korea held similar events to those of Australia and the United States where workers attended rallies instead of working to make a statement against the pay gap. In their event, women left work at 3 p.m. to attend marches for equality. The time was chosen to commemorate the time women begin to work for free in an eight-hour work day compared to their mail colleagues in the country. With so many events being organised internationally, we cannot wait to see what 2018 will bring as women continue to empower, motivate, support and celebrate each other as we fight for a fairer, more equal world. So, this International Women’s Day, where will you be?